Haribo is a German confectionery company founded in 1920. 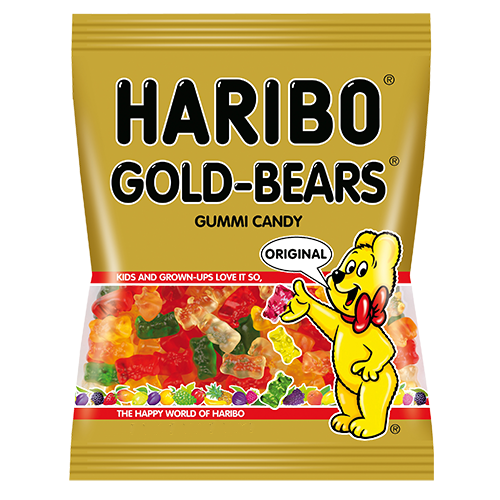 Haribo manufactures all sorts of gummy candies, including cola gummies, peach gummies, cherry gummies and berry gummies, but they are definitely best known for creating Haribo Gold Bears. Haribo was the first company to ever make gummy bears, and they’re now found all over the world. Haribo’s English catchphrase is, “Kids and grown-ups love it so – the happy world of Haribo,” and it’s translated largely the same across the world. Globally, Haribo cohesively focuses on positioning its products as possessing a childlike simplicity everyone can enjoy, even business professionals. 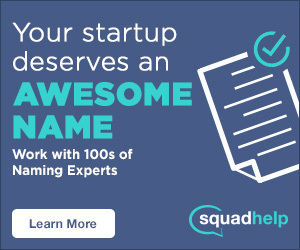 Its simple, youthful design and hilarious commercials, combined with their catchy jingle, really reinforces their positioning. Why is it Called Haribo? Haribo was founded in 1920 by Johannes “Hans” Riegel Senior. Riegel set up his first production plant in his backyard. His starting resources consisted of only a sack of sugar, a marble slab, a stool, a brick oven, a copper kettle and a roller. It was there that the now super-successful Haribo was born. Riegel invented the first ever gummy candy in 1922. He created what he called Gummibarchen (“little gummy bear” in English), also referred to as Gummibar, which translates to “gummy bear” in English. The name he chose was derived from the original thickening ingredient used by Reigel, gum arabic. Haribo is somewhat an acronym, coming from Riegel’s name and the city he lived in – HAns RIegel BOnn. He entered the name in the Bonn trade registry back in 1920 and it’s been the same ever since. Riegel’s gummy bears were popular from the very beginning. Riegel and his wife (Haribo’s first employee) made gummy bear deliveries from door to door by bicycle for the first few years of operation, until they got a car and a few more employees. Haribo started expanding internationally in 1960 and made their expansion into America in the 1980s. Haribo’s products had been sold in America previously, but they were exclusively marketed as imported, gourmet confections, which really wasn’t what they were meant to be sold as. When Haribo of America was incorporated a couple years later, Haribo gummy candies were finally introduced to the U.S. mass market. Sales were so popular the first year, they had trouble keeping up with demand. The U.S. market soon swelled with competitors like Trolli and Black Forest, but Haribo’s Gold Bears are still the most popular gummy bears in the world. In the U.S., the bears come in 5 different flavors: raspberry, orange, strawberry (which is actually the green bear), pineapple and lemon. They currently employ over 7,000 people worldwide and have 9 production facilities in nine European countries. I think we are all thankful for Riegel’s invention of the Gold Bear. What’s your favorite gummy candy? Comment below! Thanks for reading the story behind Haribo’s brand name.